I love gardening outside and we consistently have a fabulous vegetable garden each year, but I’ve never had much of a green thumb when it comes to indoor plants. I pity the plants that have ever been in my care. Whether they were over-watered, under-watered, or completely forgotten about, at some point they wither away and die. I took a break from indoor plants for quite some time as to relieve myself from unnecessary guilt. But just over a week ago I felt impelled to purchase not just one, but quite a few, house plants. We designated our cute little entry-way room to keep most of them in. It’s where we are currently keeping our future hedges that we used as Christmas trees in December. (They’ll be planted in the front yard later this year). The little sun room is full of light all day and is just perfect!!! With the whole family working together, our house plants are happy and thriving. We even did some research about the benefits of talking nicely to our plants. That is something we have added to our plant watering routine. Positive words can benefit our new plants AND ourselves as we say a few kind things to each plant everyday. If you haven’t tried this before, I highly recommend it. Here is the only survivor from years past… the first photo is from November and the second photo is from this morning! I’d say she’s doing well! I’m sure our houseplant collection will only grow from here. Spreading them throughout the entire house is my goal. My hope is that they will help purify the air in this old farmhouse. 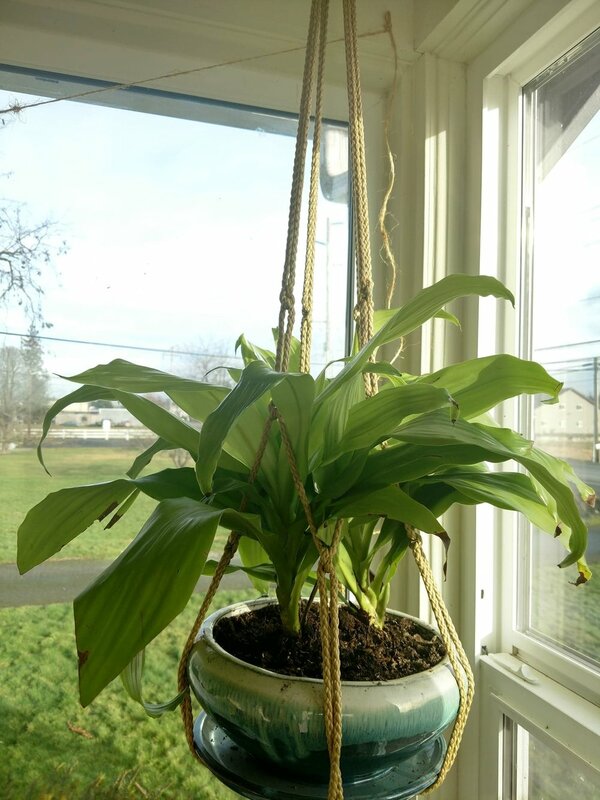 I’d love to hear what your favorite houseplants are, as I still have a lot to learn. Are you taking care of YOU first? Here are 6 things I do every day to stay charged. Practical life skills are an important part of a child's education.